A disk image is a single file that packages all of the contents for a single disk, typically a CD or DVD (although image files can be created for hard drives as well). Disk images provide a convenient method for handling files that are to be burned onto a disk. However, sometimes it may be inconvenient or impossible to burn a physical disk. There are a number of programs that will allow you to mount disk images files virtually as CD or DVD devices without having to burn them to physical disks (such as Pismo File Mount Mount Zip Files and CD/DVD Images with Pismo File Mount Mount Zip Files and CD/DVD Images with Pismo File Mount Read More ). 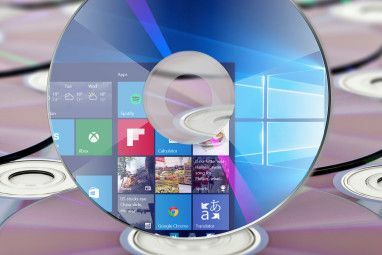 Unfortunately, most of these programs require the installation of drivers, creation of registry entries, and often ask you to reboot the machine. Such requirements make it difficult to use them as portable apps on a USB drive. The Virtual CD-ROM Control Panel by Microsoft is the perfect solution for mounting disk images from a portable USB drive. Extract the contents of the self-extracting excecutable onto your portable drive. Be sure that there are no spaces in the path to the directory you create (i.e. extract into a directory called X:\PortableApps\VCDRom, not X:\PortableApps\Virtual CD ROM). Otherwise, you will encounter problems later. Browse to the location of where you extracted the Virtual CD-ROM Control Panel files, and use the VCdRom.sys driver file. Click the Add Drive button. You should see a new drive letter appear in the Virtual CDRom Control Panel window. Navigate to the location of your disk image file (.iso, .udf, .cdfs, .jo, and .rock files are supported) and open it. Select the drive(s) that were added, in the Virtual CDRom Control Panel window. Click the Remove Drive button. Click the Driver Control … button. Click the Remove Driver button. At a mere 32.5KB, the Virtual CD-ROM Control Panel is extremely small and is very fast. It works on Windows XP and should also work on Vista if launched as the Administrator. 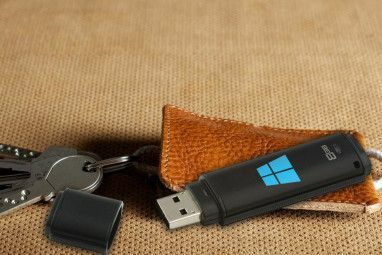 If you keep disk images on your portable drive, you’ll definitely want to check it out. Do you maintain disk images on your portable drive? What tool(s) do you utilize to use your images? Explore more about: CD-DVD Tool, Disk Image, Portable App. I wasn't successful with this,why?It only asked me to unzip, which i did and nothing was forthcoming. The Tool needs smart folder-pathes to mount the Iso-file. When comes out a newer version that allows longer folder-pathes? Write in this Posting (do not send a email)! Thanks for this. I just got a 4Gb flash drive for christmas and I was looking for a virtual disk mounter. hey guys, talking about useful, small and free tools, check this out: PowerPro v4.9 (powerpro.webeddie.com/) No fancy colours in their website, they go straight to the matter. This little jewel will blow your mind and set new standards for small, free and useful tools. Wanna minimise applications (any) to the task bar? Wanna run or do specific commands to specific applications? Wanna set windows on top or below? What do you want? Does not matter, just use it. 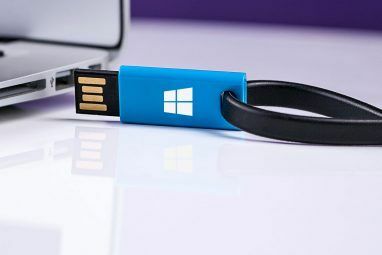 Donâ€™t need to install either, can be used from USB drive. Goodâ€™on ya. Its a tiny program (14kb) that runs without install that creates isos from (what I can tell) any format that your drive will read. it will prompt you to choose a save destination and what to name it and it will then do its magic, and very fast. That's a nifty little ISO creation tool, I hadn't heard about it until now. Thanks for the tip! Excelent program. I'll check this out. And the installation of drivers, even with this tool, requires administrator privileges. But if you use portable applications because you often work on computers that are not yours (libraries, internet kiosks), it is unlikely you have administrator privileges. This is true. Administrator privileges are indeed necessary to use the app. As you say, if you primarily use portable apps on public computers, it may be limited in its usefulness. However, if you use portable apps to diagnose, repair, enhance other systems, it is definitely a good tool to have on your portable drive. Jorge, nice article. I have started using a similar software called MagicISO recently and I think its an excellent option too. I thought installing drivers was a negative attribute. It is a negative attribute when you have to go through the process of running an installation program. The Virtual CD-ROM Control Panel makes it easy by keeping the installation/uninstallation of the driver within the program itself. I don't know of any other disk image mounting programs that allow you to do that.